The Duke and Duchess of Gloucester attending the Service of Remembrance for the Iraq War, Oct. 10, 2003.
www.rexfeatures.com - Memorial service for service personnel killed in the war in Iraq, St. Paul&#39;s Cathedral, London, Britain - 10 October 2003. I really love this couple. Unassuming is the word that comes to mind, when I look at the first picture. 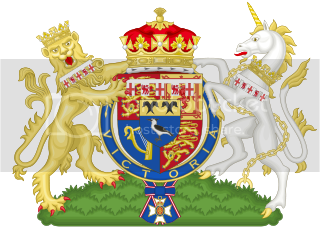 Born in 1944, The Duke of Gloucester is the second son of the late Duke of Gloucester and Princess Alice, Duchess of Gloucester. He is a grandson of George V and a first cousin to The Queen. He succeeded his father as Duke of Gloucester in June 1974. In July 1972 Prince Richard (as he was then known) married Birgitte Eva van Deurs from Odense, Denmark at St Andrew&#39;s Church, Barnwell, Northamptonshire. 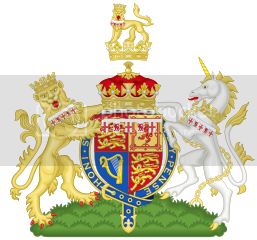 The Duke and Duchess of Gloucester have three children: (Alexander) Earl of Ulster, born in 1974; The Lady Davina Windsor, born in 1977; and The Lady Rose Windsor, born in 1980. The Duke and Duchess of Gloucester both carry out a large number of official engagements each year, individually and together. They undertake visits in regions throughout the United Kingdom and travel abroad on official visits and to support their varied patronages. She is attractive. I wish there were more photos. Wonderful photos -- there is a darling picture of the duchess with her baby daughter (taken a few years ago) where she is holding a family tiara over the baby&#39;s head...quite cute. That halo .... is it lighting or a hood ? The Duchess sure looks good with a tiara. It looks like a silver plate of somekind either mounted on a wall or standing upright on a mahogany chest. Yes, you are correct. The "halo" is light reflecting off a silver plate that is just behind HRH&#39;s head. Silver plate resting on a mantel piece ? Wonderful photos --&nbsp; there is a darling picture of the duchess with her baby daughter (taken a few years ago) where she is holding a family tiara over the baby&#39;s head...quite cute. In this picture, the Duchess has - imo - an eery similarity to Princess Stephanie of Monaco. But the Duchess is definitely the better looking of the two, and the better married.